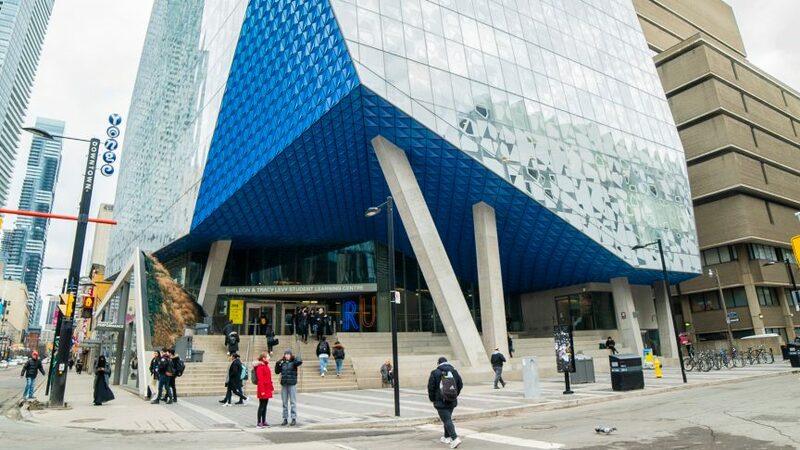 After Ryerson’s fifth award as Canada’s Best Diversity Employers(CBDE), past events in the last few years question whether the school deserves it. CBDE is a national competition organized by Mediacorp Canada Inc. and The Globe and Mail to award inclusive workplaces for women, visible minorities, persons with disabilities, Indigenous peoples and LGBTQ+ identifying people. Mediacorp did not respond to comment in time for publication. CBDE cites Ryerson initiatives like the annual Viola Desmond Awards and Bursary. This prestigious award recognizes the contributions of four Black female members at Ryerson as a part of the Black History Awareness series. But, Ryerson has already been recognized for these initiatives in 2017.According to the 2015-2016 Employee Diversity Self ID Report, five per cent of Ryerson employees identified as Black. Earlier this year, Ryerson fired Black staff member Carol Sutherland while she was still on medical leave. Sutherland, founder of Ryerson Black Faculty and Staff Community Network, said Ryerson terminated her after her doctor sent a medical report of her health condition, The Eye previously reported. Josh Lamers, the co-founder of the Black Liberation Collective at Ryerson, said diverse hiring does not equal to embodying social justice. “Just because Ryerson hires someone [racialized], doesn’t mean it wants the person to change how the institution functions,” said Lamers. Usha George, a professor from the School of Social Work, said there’s no way to exactly measure diversity in the workplace. “The method we have to measure diversity is one-dimensional because it is usually asking an individual to identify their sexual orientation, ethnic identity or religion,”said George. Access Ryerson was cited for why Ryerson is a top diversity employer. This was also cited when they won the award in 2017. This campus-wide initiative aims to remove and prevent barriers for every Ryerson member with disabilities, according to its official website. Access Ryerson has been recognized since 2015 and continues to be cited on the CBDE initiative highlights. What isn’t mentioned is the Stu-dent Learning Centre’s (SLC) failing grade in accessibility for visually impaired students by disability advocate David Lepofsky. The sudden closure of Gould Street with-out earlier notice created another barrier for staff and students with disabilities. The Self-ID Report showed six per cent of Ryerson employees identified as a person with disability in 2016. The Eye previously reported that besides the Student Learning Centre and the Mattamy Athletic Centre, Ryerson is not accessible for students and staff with mobility challenge—especially Kerr Hall. The elevator outage at the Rogers Communications Centre back in October worsened accessibility on campus and again, the school did not give any notice in advance. Other than the school’s effort on fostering an inclusive environment for members with disabilities and Black staff, CBDE highlighted Ryerson’s plan on raising Aboriginal awareness. Indigenous staff and faculty members only made up one per cent of all Ryerson employees in 2016, ac-cording to the 2015-2016 Employee Diversity Self ID Report.In February 2018, the school promised to hire six new Indigenous faculty members in response to Ryerson’s Truth and Reconciliation report. Monica McKay, Ryerson’s director of Aboriginal Initiatives, previously told The Eye that there is still a long way to go to reach their goal. Mustafa Koç, co-chair of Immigrant Employees Community Net-work and sociology professor at Ryerson, said there are always tensions and various forms of inequality in the workplace.“Employee networks like us exist to cherish and protect diversity,”said Koç. “If we have enough re-sources and a better understanding of each other, it will be easier to solve these problems.